Absolutely that your game console machines like PS4, PS Vita, Xbox One or Zune are amazing. But it's really bad for your health if you play games with a long time. When you feel a little tired during gaming, we suggest you stop to enjoy some great DVD videos with your game console machines. Sony PSP and PS Vita are available to play some videos. But DVD video is not the one. WonderFox DVD Video Converter can rip and convert DVD video into your PSP or PS Vita machine. Then, you can play it freely. It’s the same with your PS3 or PS4. The instruction below is showing you how to rip and convert DVD into PS/PSP/PS Vita. New Xbox generation is added with many social networking elements. You can easily share your game experience, video or anything with your friends and family. However, it also can be a video player for you to enjoy different videos. 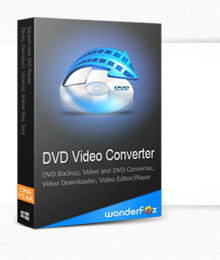 And here with the help of WonderFox DVD Video Converter, it can be a great DVD player. Follow the steps below and you can make your Xbox game console machine a DVD player.